You must be a member of the Wrocław Sports Watchers Group to attend this activity. Would you like to join this group? Let's watch how Polish Team plays against Croatia in the 2nd Round (6th Window) of FIBA Basketball World Cup Protected content . Poland is actually on the third place, Croatia (5th) in the group with Lithuania, Italy, Hungary, Netherlands. How to qualify for the FIBA Basketball World Cup Protected content ? 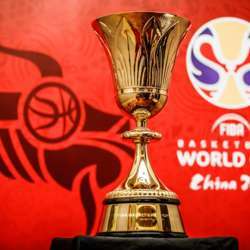 In the Second Round of the Qualifiers, the three highest-placed teams from each group (a total of twelve teams) shall qualify for the FIBA Basketball World Cup Protected content . Let's have fun together while watching basketball match!